Walker’s Funeral Service has become one of the most trusted and established firm of Funeral Directors in St Helens. We are one of few remaining Funeral Directors to be owned and run by its founding family, and is still an entirely independent funeral director. Walker’s Funeral service is a name synonymous with dignity and pride in the profession of funeral directing. 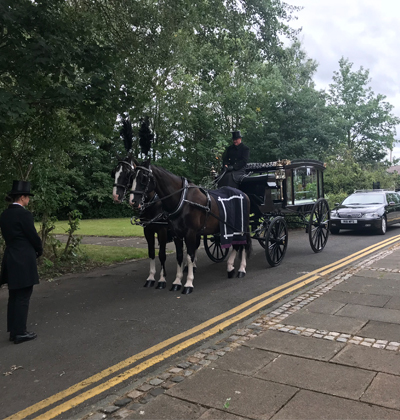 We understand just how distressing the loss of a loved one can be, Walker’s Funeral Service have a wealth of experience within the industry and are totally committed to offering a first rate, highly professional and caring service. We are able to arrange both traditional and bespoke funerals with either a religious or non-religious content. We’re also able to offer the St Helens Partnership style funeral, to help local families of Sutton and the wider community, with a respectful, professional and dignified funeral service at an affordable price. 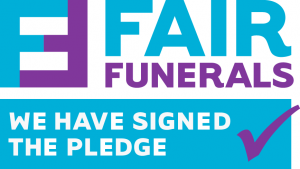 Walker’s Funeral Service are members of the National Association of Funeral Directors and therefore you have complete peace of mind in knowing that the service you will receive will be delivered with the utmost professionalism and integrity. We can be contacted 24 hours a day and our caring team are able to offer both guidance and advice to help you create the best possible funeral for your loved one. Funeral arrangements are generally made at our premises in Sutton, St Helens – normal office hours 09.00 – 18.00, however, many families find it comforting to be in their own surroundings at this time and we are happy to come to your home for this purpose.